Coverage: Live on BBC Alba, S4C, BBC Red Button, Connected TV and online. 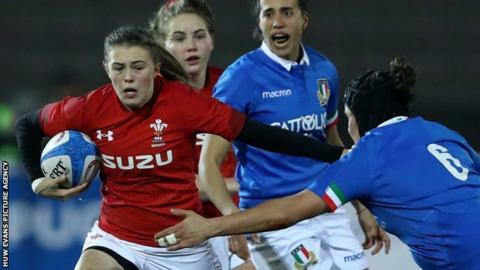 Wales have made two changes for Friday's Women's Six Nations game against Scotland. Lauren Smyth is chosen as full-back while Lleucu George is at inside centre having started in the back row against Hong Kong at the 2017 World Cup. In the pack, Beth Lewis and Alex Callender switch flanks while Manon Johnes returns to the matchday squad. Rowland Phillips' side are seeking their first win after defeats by France and England and a draw in Italy. "We've been able to take positives from all three games so far in the tournament, despite some disappointing results," head coach Phillips said. "Now we need to build on our strengths and make further progress in other areas to produce an improved performance all round against Scotland. "We have confidence in our processes, we know we have the talent in our squad and if we show what we are capable of, the results will come."